My birthday is coming up next week! 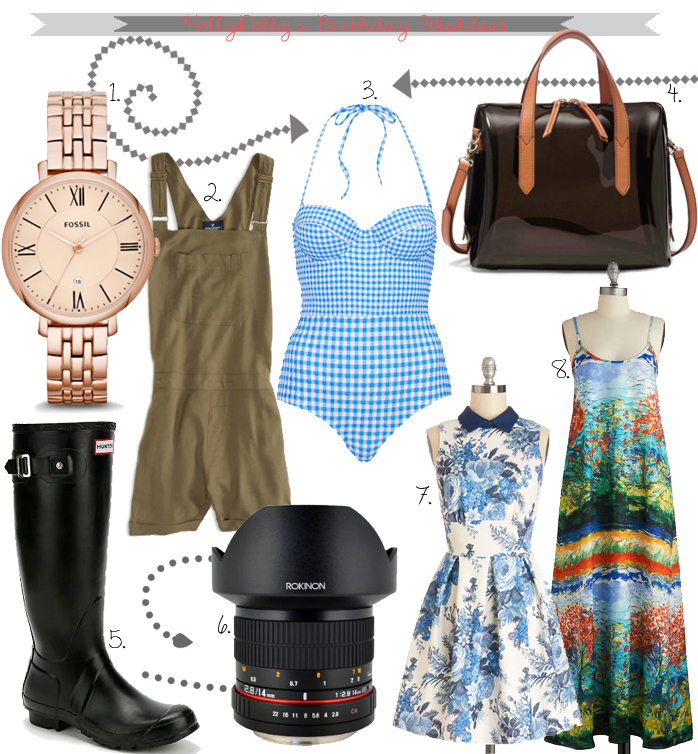 Here’s a few things I am currently lusting after (especially that Fossil bag and watch!). You all know I love a good wish list :), and my birthday wish lists are always my favorite because its that time of year when I’m really craving warm weather items so hard. Spring and summer, I’m ready for you!